Do you have great ideas for the men in your life at the holidays? I seem to always stumble when it comes to buying for them. Most men will say women want too much or that we are hard to buy for. Personally, I think women are easy to please and it seems that there are always so many gifts that are marketed toward women. Moms, girlfriends, wives, and sisters are easy to buy for, men not so easy. Check this out, I found a gift for the men in your life, and it is pretty awesome. OxyLED has the greatest new Tactical Flashlight, and it comes with all of the features anyone could want or need. The flashlight has two control switches, the regular tap on power switch, and then it has an awesome remote pressure switch, you can use it with the rail mount for tactical use. I don’t know that I have seen that in a flashlight before. There are 2 different lighting modes, one is constant on for when you are using it for regular need, and then there is a high powered LED, this allows for a brightness of 300 Lumen, that is a bright light! Even in the rain, it works perfectly! One of the features I love the most about this flashlight is that it has a 2000 mAh rechargeable battery. What a great feature to include this. It seems to me, that whenever we need a flashlight, the batteries are dead or lost. Having it rechargeable is brilliant. I am tired of buying ties, and candy and silly notions for my husband, adult son’s and dad, these are awesome tactical flashlights and I cannot wait until they open them for Christmas. My husband is going to love his! 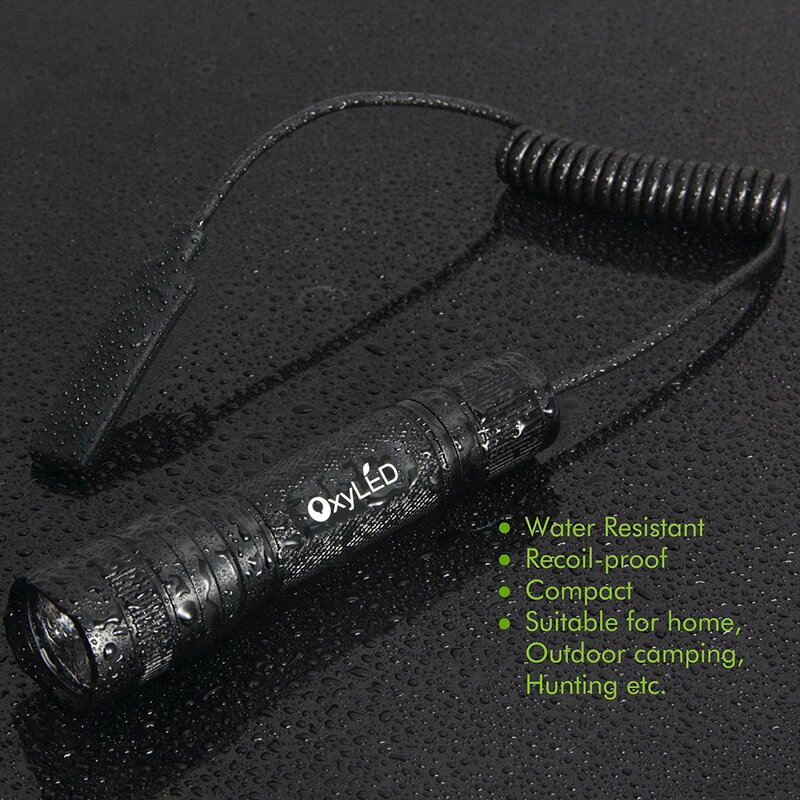 The Tactical Flashlight is IP65 Water-resistant and Durable: Made with an aluminum body, it’s strongly water-resistant, anti-abrasive, skid-proof designed, perfect for outdoor activities. Get your own here on Amazon and make sure you grab a couple for gifts, they are awesome to keep in your car or in your camping supplies. It will suit all of his needs and yours for having a great gift! Next post: North Pole Kids Club Giveaway!